Some more photos of his 340 e30. http://bimmersport.co.nz/topic/48919-attas-aka-crazyarabs-e340i I remember when you took use for ride around christchurch in it and how much punch it had out of the gate, we were all giggling like little girls and it didnt grow old. Still remember that smile on your face. Keep going, and enjoy it when youve finished. Take pride in what youre doing. Im 10 years on and still love mucking around with mine. Off the back off the code they should have told you the cylinder, number of times it happened. BMWs misfire detection is controlled via the ionic detection hardware installed in the ECU, this is what triggers the DTC in the fault memory. It is essentially is a hall effect clamp which analyses the current and its shape on each spark event. Done right a shop can tell if it is a spark plug or a coil issue. Nice work on the build! Just a friendly note on your soldering. You need to use a proper flux based solder and clean up those pads carefully. Because you don't have the mosfet pads filleted properly they will eventually fail. You need to use a flux pen when adding solder to avoid it globbing on the mosfet foot itself and not the pad. Use a solder sucker and wick to properly clean the pad up before removing to not damage the copper. 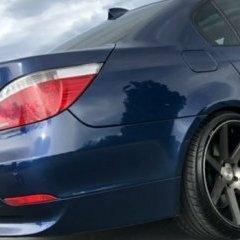 I had a fully speced kiwi new 540i A SE which was a motorsport and came with m5 mirrors and wheels. This is why it got the SE tag. There is a reason they have fancy show rooms.